I didn’t spend enough time thinking and researching about my blog name before I created it (which is why I changed it from BookNook to Nose Graze), so hopefully I can write something that will help new bloggers start off on the right foot and choose a good blog name! Your blog name is your brand. It’s what people will associate with the content of your blog and what people will think of when they see you on Twitter, on Facebook, or commenting on another blog. It’s important that your name is memorable and unique. If someone needs to find your blog on Google or Bloglovin’, they should be able to type it in and immediately see results for your blog at the very top (and ideally no other ones). That’s a good indicator that your blog name is unique, original, and the only one like it! These are my recommendations for the essential requirements of any name. Pronounceable. If people are going to be able to remember your name, they have to be able to easily pronounce it. Then it will stick in their head more easily. Available domain name. I suppose this doesn’t apply if you won’t be buying a domain name, but I personally recommend that you do so whether you’re on Blogger or WordPress. It makes your site feel more professional and easier to find. Before picking a name, check to see if the domain is available (look for the .com version). If it’s not available, that’s a good indicator that the name already has some kind of online presence, so you might have to compete to get yours to stand out. This might be a sign that you should consider a different name. Of course you could always buy .net, .org, or .me instead (etc.) but it doesn’t change the fact that someone else out there has that same name. Available social media accounts. You’ll want to check to see if social media accounts are available for this name. NameChk is a great site for easily checking every social media site for available names. Stick your name in there and see what’s available! You will want at least Twitter, Facebook, Goodreads, Blogger (if aplicable), and possibly Pinterest and Disqus. If all are available except one, then that doesn’t necessarily mean you have to change your name. You could use a derivative for one social media site (like instead of “YABookLover” you could do “YA_BookLover”) and get away with it. But if every single one is taken, that’s another good indicator that the name is already too popular online so it’s not that unique! From here you can branch off into two different name ideas. You can create a “keyword intensive” name that very clearly describes the purpose of your site. Or you can create a completely “unique” name that might be a made up word or phrase. There are pros and cons to both of these, so let’s check them out! Readers can quickly see what your blog is about. Name might feel less unique. Name would usually be a bit lengthier than a “unique” name, which might make it harder to remember. Your whole blog is driven towards SEO and search engine rankings. For example, if your blog is all about “paranormal romance” and you want people to find your blog if they search for that key term, then you will want it in your name and URL somewhere. That will increase the likelihood that your blog will show up on a search for “paranormal romance book reviews” or something similar. 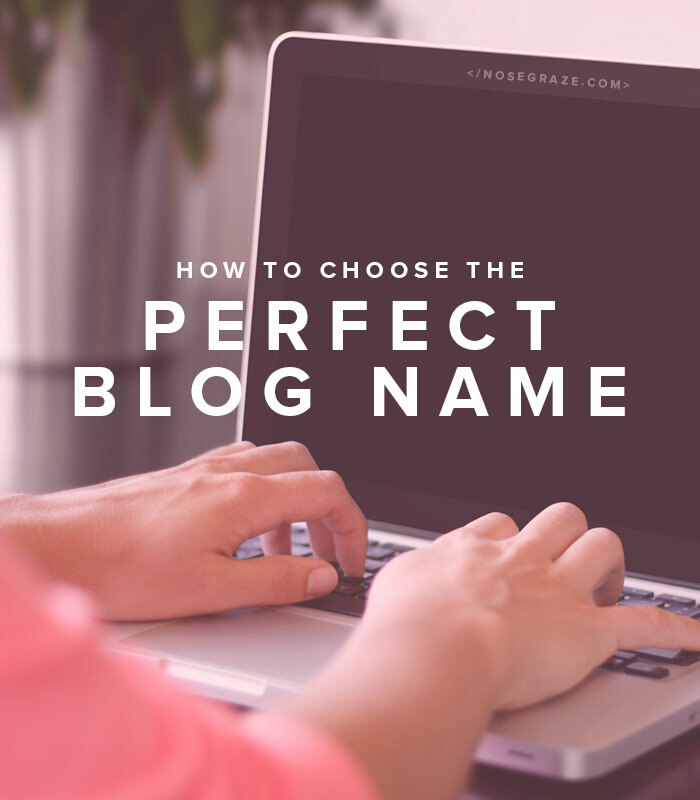 You want your name to describe the content of your blog. For example, if you blog about “Contemporary Romance” books, you might consider a name like “The Contemporary Chapter”. Although the name is still cute and different, it references two things: the overall subject of your blog (“chapter” = books) and your specific focus (“contemporary” books). So people immediately know exactly what your blog will focus on. The downside to this method is that it leaves you with little wiggle room. Maybe, one year down the line, you will get tired of contemporary books and start reading a lot of paranormal. But then your name no longer fits the blog! Keep this in mind when picking a name. It’s usually a better idea to not be too specific. Apple – An apple is a fruit and has nothing to do with technology or computers! But the fact that apples have nothing to do with what the actual company is, is probably one of the reasons why it’s so catchy. It’s almost a strange name if you think about it, and that’s what makes it memorable. Oreo – A completely made up word. People aren’t even sure where exactly it came from, but it has become so iconic and everyone knows what an Oreo is! Google – At first glance it doesn’t actually look like it relates to a search engine. It’s not like it’s called “Search Fast” or “LiteSearch” or something. The name is a misspelling of the word “googol” (which is a large number of 1 followed by 100 zeros). Anyway, you get the point. And it doesn’t have to be just a word—it can also be a phrase (like I would consider “Nose Graze” to be in this category, which is a phrase). These made up words are certainly a bit more unique and iconic than descriptive names. But they’re also harder to come up with and might require a bit more work if you want to “brand” it. Pronounceability is also key here. Don’t come up with a name like “Xarfhikz” because it’s “original”. People will be sitting there for 5 minutes trying to figure out how to say it, and since they’ll never be certain, it’s easier to forget the name itself. 100% original and unique, which makes it more memorable. Great for creating a strong brand. Flexible blogging topics (you won’t necessarily be tied down into reviewing books, since the word might have nothing to do with books). It might not be immediately clear what your blog is about. Your blog homepage might be less likely to come up in generic Google searches since it’s less keyword intensive. It’s usually more difficult to come up with a name. You want to create a stronger brand. If you make up a unique word or phrase it’s usually easier to create a strong iconic presence around that word since it’s 100% unique to you. You don’t want to be tied into one topic. If your blog name is “The Paranormal Reader” you’re glued into always reviewing paranormal books. If you start reading contemporary, it’s technically okay, but it will hurt your brand a little. On the other hand, if your name is “Supposie” that means nothing and has no associations to any genres or topics, so you can do anything you want with it. Say you decide to start blogging about non-book things—that’s perfectly fine because “Supposie” doesn’t even have anything to do with books! You want to be 100% unique. If you use real dictionary words in your name, it’s more likely that someone will have a similar name or even the exact same one. But if you make up an entire word, that word is yours. It’s a lot less likely that there will be someone else with the same name. Make it stand out! You don’t want it to look like every other blog name out there. Make it visual. If people associate your name with something visual, that will make it more memorable. Make sure it’s spelled like it sounds. You don’t want people to be constantly misspelling it because it’s “ie” instead of “ey”. Keep it simple. If your name is complex or long-winded, people might be less likely to remember it! Start deciding on the graphics as you come up with the name. People are more likely to remember your blog if there are “iconic” graphics or visuals that go along with it. Do your research. Find out how popular or unique your name really is. You want one that stands out; one that no one else has. Match your domain and social media accounts to your name. Having your blog name in your URL is better for SEO and branding. Make sure your name is consistent across all platforms. Decide what kind of name you want. Do you want one that clearly describes your blog? Or do you want a 100% unique word or phrase that has no obvious meaning? Take your time. Don’t create your name on a whim. Once you come up with an idea, don’t immediately create your blog. Think about it for a few days and let it “sit” in your mind. Does it still sound good in the morning? Design your graphics/logo first. This is especially useful if you’re deciding between two names. Start playing in Photoshop and coming up with different logos for each one. Sometimes you can’t decide on a name until you see it in the graphics. One or the other might suddenly call to you once you can see it all done up in graphics or a logo. Your blog name is your brand. It’s what connects you to your blog and it’s how people identify you. Think about your name carefully before you dive in and go for it! Need help choosing a name? Download the free worksheet. More tips right over here! Bieke @ Istyria book blog recently posted: Feature & Follow Friday #8: fiction moms! Haha thanks. 😛 And it’s easy to pronounce. A really great post. I am actually okay with my long name because it does great in searches since it has all the keywords in it. I started my blog to post book reviews but to also get my name out there for when I published my book. So most of my social media is under my name (with a bod to my blog somewhere). I think that’s important because really I am branding myself as well. Yeah your name is totally rocking the keywords! And yeah, it is great that most of your social media is under your name. And that allows you to use it for multiple things! it always bugs me that I didn’t go with a domain name the same as my blog name. But at the time I got the domain name, I wasn’t sure whether I wanted to solely go with a book review blog – I was contemplating an art gallery as well with my art. But I never got around to that. LOL. I love your point about making it visual. With your name, the picture that instantly comes to mind is a face so buried in a book that you can’t even see their eyes. It’s comical and cute 🙂 While my name isn’t as visual, it is flexible for what I can do for graphics and in adding something extra to the logo that does have a visual element (i.e. the balloon). Hopefully when people think of Book, Interrupted, they think of that picture accompanying it. That comes with time and establishing the brand of your blog of course, but it’s still crucial to make it stand out in some way. Again, amazing post! I was reading this in class and it was much more interesting than postmodernism haha. And you’re right, your name is really flexible with graphics! I really do love your header image and the fact that you repeat it in other graphics on your site totally helps with your branding! I follow you Janita and I always think of the actual layout of your blog when thinking of you… good job!! Angie recently posted: Harry Potter Moment of the Week-First Book!! This made me think…. What do you think of people changing their blog name? I looked through your post and it doesn’t look like it’s talked about. I have actually thought of changing my name to a name that is more about books…. but am not sure if that is a good idea. I think it can be a great idea under the right circumstances. It can help a lot if you have an unoriginal blog name and need to work on rebranding. Some very awesome tips! Luckily April took care of all that before I came along haha. Your post are always as helpful as ever. I was thinking of making a book blog for quite a while and this post gave me a tips! I need help? I want to change my blogger name. It used to be Shiney Silver Spoon because I started it cooking. But I found out that I kind of want to make the blog about me, my family, and our interests. I would really like some help! My nickname is Shiney and I’m 16. Thank you! hey very awesome tip. Your post are very helpful as ever. I was thinking of making a book blog and this post gave me a tip.. I like Tanyasbookhookups but it’s long what do you think? or bookhooking? how about “booked for books” or something like that, it sounds catchy ! I think the name is sinfully long and wish to change it. I request some suggestions. My blog is about random book posts such as book quotes, reviews etc. Sorry I don’t come up with names for people. I’m thinking of creating a new blog but was stuck for a name and in searching, I found this post. thank you, it’s really been helpful in making me think what I want to include in my name. Hello I want anyone’s opinion and feedback based on this article. Te domain name is christologic.com is it a good domain name for a personal blog? I have just come across your blog post while trying to change the name of my blog and was wondering if you had any ideas. I’m a youtuber and a blogger who talks about beauty, fashion and lifestyle. I dont really feel that my name works, do you have any ideas? do you think StraitsView Flibbertigibbet would be too long? I do think it’s long, but honestly my main problem with it is the word “Flibbertigibbet”. It may have an interesting meaning, but it’s one hell of an awkward word to look at. My first impression is: I’m not sure how to pronounce this. I have to do it slowly, letter by letter, rather than just immediately knowing how to say it. That’s kind of bad for a brand. You want your name to be MEMORABLE. If people don’t know how to say or spell your name, that’s going to make it harder for them to remember it. Just plain StraitsView is better. I guess I can twist it to be Straits Views ? what do you think of that ? or should I just leave it as my brand is StraitsView ? That’s awesome! 😀 I’m so glad this was helpful and that you were able to pick your name. Congrats!! Hello there! I just want to ask if this a good name for my blog? I just don’t know. I think it shows what my blog is all about. Thank you! Your opinion is much appreciated. Can you use a question for a blog name? I thought of doing that but am not sure if it’s the right thing. Thank you! I’ve brainstormed and just cannot think of a good name! Great post! I’ve been thinking about changing my blog name for a long while now. 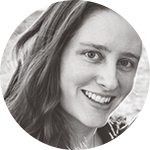 My original blog is nutritionize.net, when I started it I was blogging about nutrition but over the years have expanded to writing more about yoga, meditation, life, and travel. Although I could continue under nutritionize, I have found that it’s not easy to remember or pronounce. I migrated the content to my personal URL but it doesn’t feel like a blog there. The new name i’m considering is eat.move.meditate. which is my current tagline for nutritionize. What do you think? I’d love to get your thoughts. And i agree a blog name can really impact blog confidence. The scary thing is that I knew most of it but have been choosing to ignore it. Your post has been a timely remimdet. Holy crap. This guide was amazing and I wish I found it before I created my blog! I’m actually thinking of changing it and this guide was all that and a bag of chips when it comes to coming up with a name I don’t just like, but connect with! I have a few questions about blog names and URLs. Blog names and URLs should match, including any social media sites as well. One issue I have when I made my URL is that I wasn’t able to have just “Novelties” in my WP URL. I had to put in my first name: “Siobhan’s Novelties.” But I’m marketing it as Novelties. My problem with the name is that if someone wants to google me, they’d have to put in “Siobhan’s” or “wordpress” afterwards. I love Novelties. It’s short and sweet, but it’s hard to find (and is vague), and it’s not available in .com. So I’d still have to keep my name in the URL when I switch to self-hosting. Is not being easily searchable a big problem bloggers should be worried about? I would like to switch my name, and I have a few name ideas already, but most end in “Reads.” Nothing original there. I’m working on your worksheet as well, but I find that getting help from others is a great way in brainstorming. Are there any sites that bloggers can get help from other bloggers when finding the right name? I think the biggest problem you have is that you’re trying to market your name as just “Novelties”, so that’s what people will think of. That will lead to problems with them not finding it. “Novelties” is far too generic for people to successfully find you on Google or feed reader sites (Bloglovin’, Feedly, etc.). If you market your name as “Siobhan’s Novelties”, then that’s the name people will remember and search for. So, I’m brainstorming book review blog names and came across your site when I was looking up good plugins to use. I started reading your tips on choosing a name and now I’m torn. Again. Is “#BookReviews” too generic, in your opinion? (I’d have to spell out the word “hashtag” in the url to make the domain name work.) Honestly, I’ve been brainstorming so much and ended up changing my mind so often that I just got to the point where I was like screw it I’ll go with this. It’s easy and it’s specific, so people know what they’re getting immediately…but I don’t want something so bland that people forget it, ya know? It’s possible I’m completely overthinking it, I do that a lot. Any insight would be helpful! I personally do think it’s too generic, and I think it will be confusing when speaking the name out loud (“hashtag book reviews dot com—yes spell out ‘hashtag’ fully.”). You might even get a lot of people trying to actually go to #bookreviews.com, which obviously won’t work. At the end of the day though, go with something that you love, even if that means completely ignoring everything I said. 🙂 Input helps, but how you feel about the name matters more. Yeah that’s what I figured. I guess I’ll just have to keep brainstorming until I come up with something good. Naming things is the hardest part, imo. Something I’ve never been good at. Thanks for your input, I appreciate it! I was glad to read this, for my blog I went with a totally unique name. I didn’t want to be stuck just doing one thing and I thought a unique name would allow me to spread out. I write mostly book reviews, but I also wanted a spot to place my artwork, so I thought a unique name would allow me to do both, in one website. I was a little worried that maybe I made the wrong choice, but after reading your post, I’m thinking that I made the right choice. As a second note, I not only bought the domain name of my website (theartisanpenguin.com) but I also purchased my own name as a domain…it was available so I thought is was a good idea to hold onto it. I have it pointing to my current website if you type it in, but if I ever become famous (hahaha) I already own my own name. Hey Ashley, Thanks for sharing such an awesome tip’s loved it. It’s very useful for me.